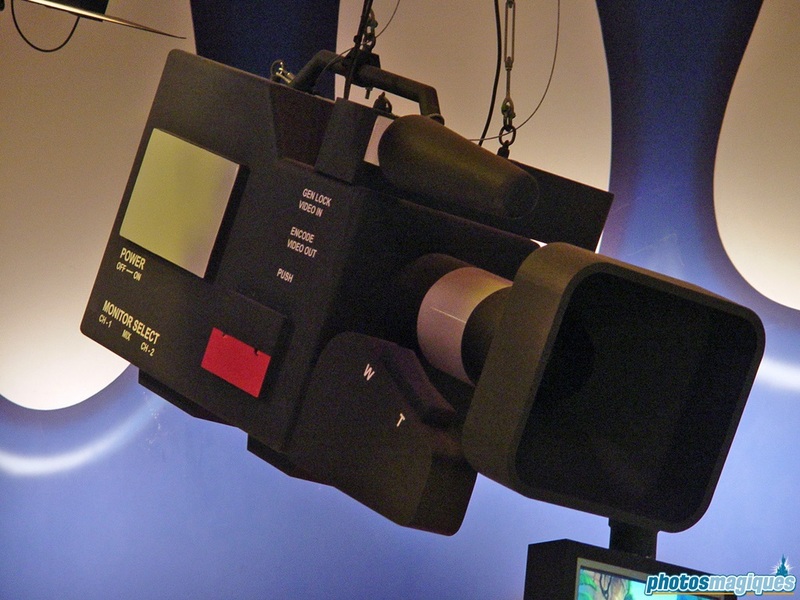 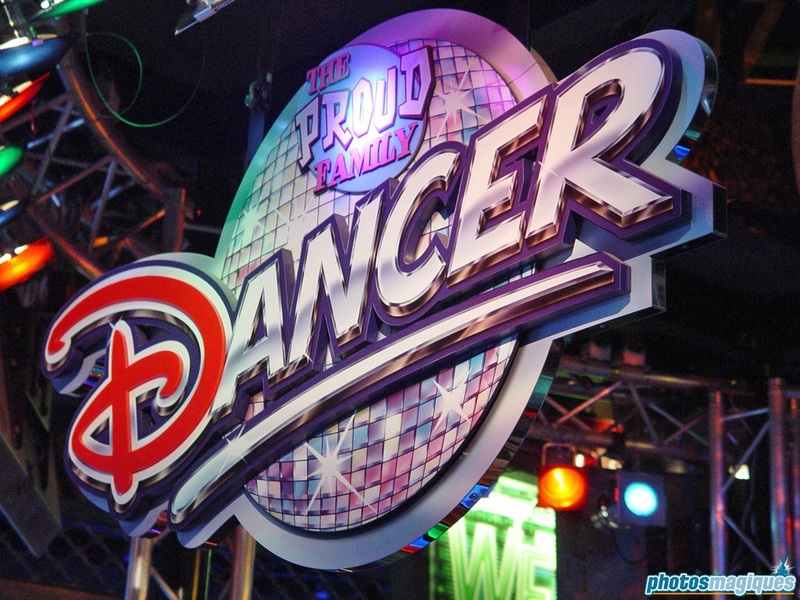 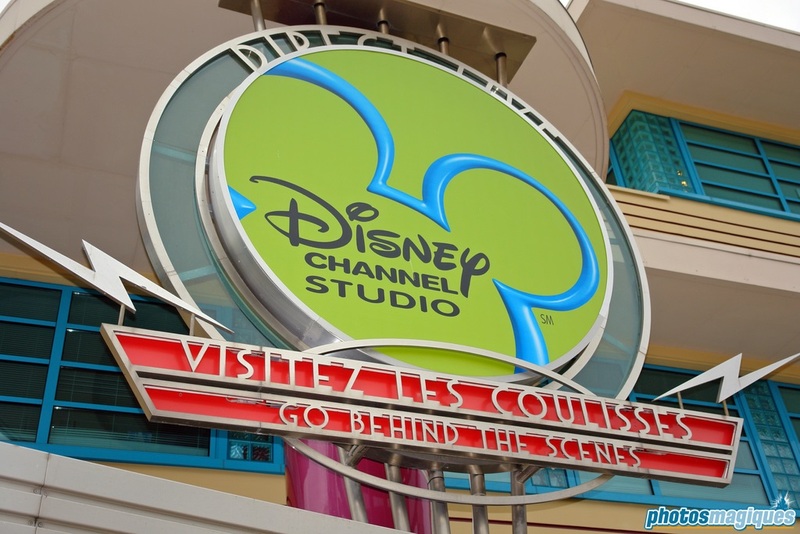 Television Production Tour was a behind the scenes look at the Disney Channel France studios. 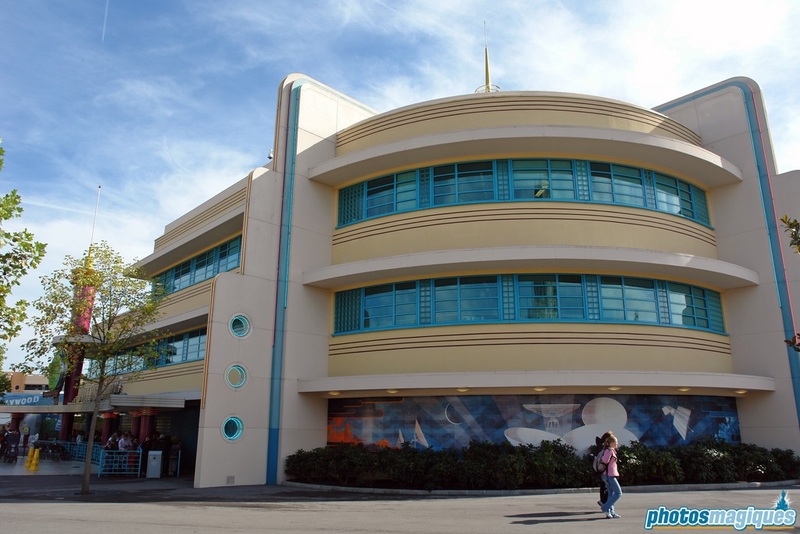 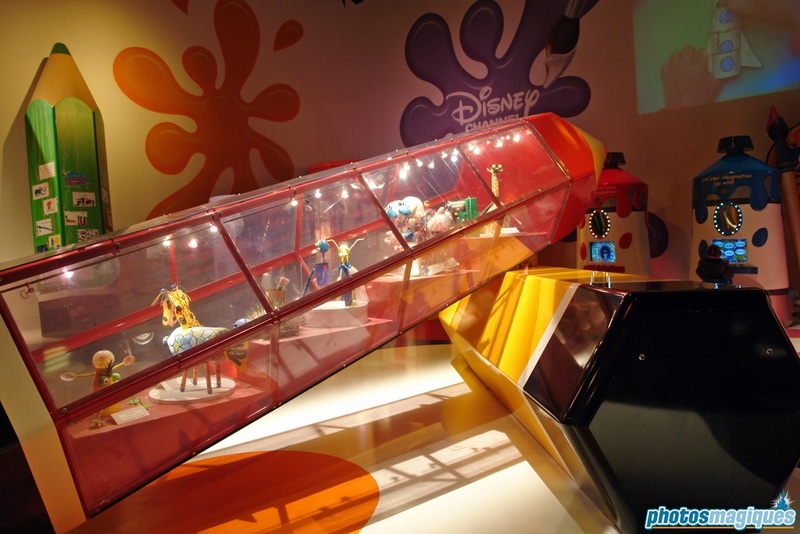 In the original version, guests would be shown around by a Cast Member who would explain the different rooms that were visited. 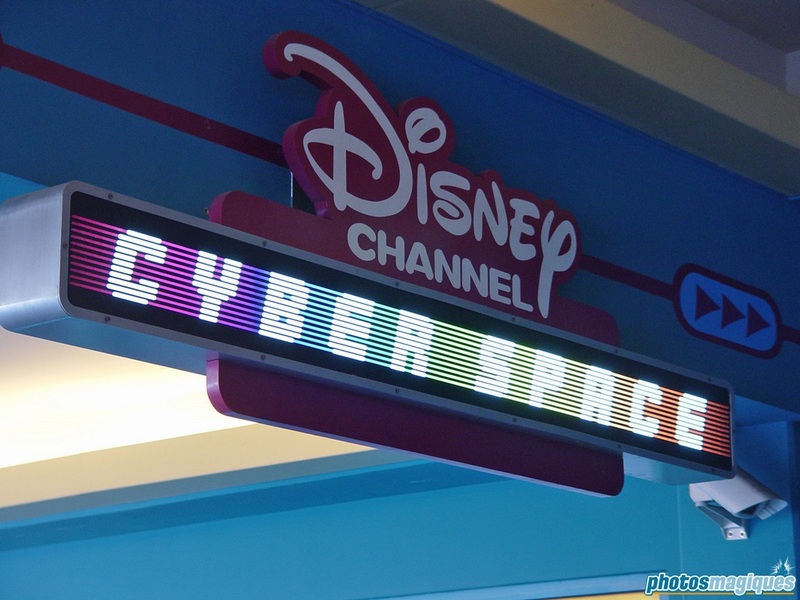 Overhead screens showed a translations of what was being said in French. 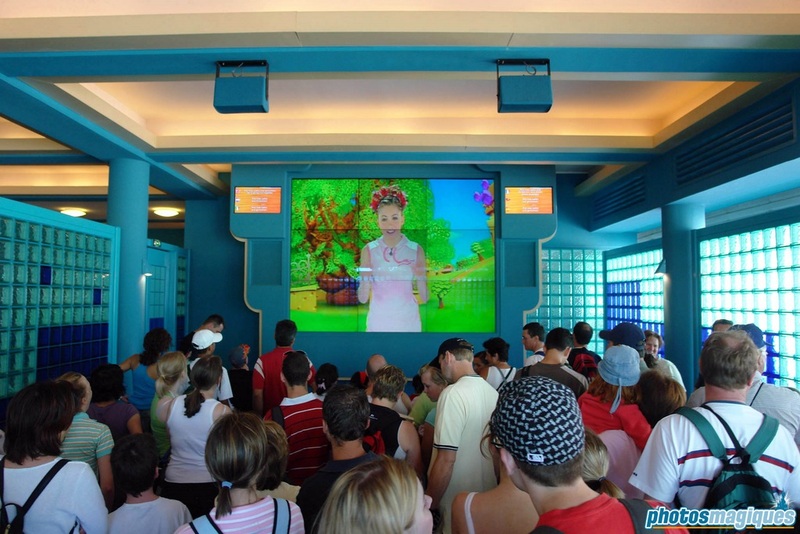 Later, the Cast Member got replaced by a Disney Channel host on the overhead screens. 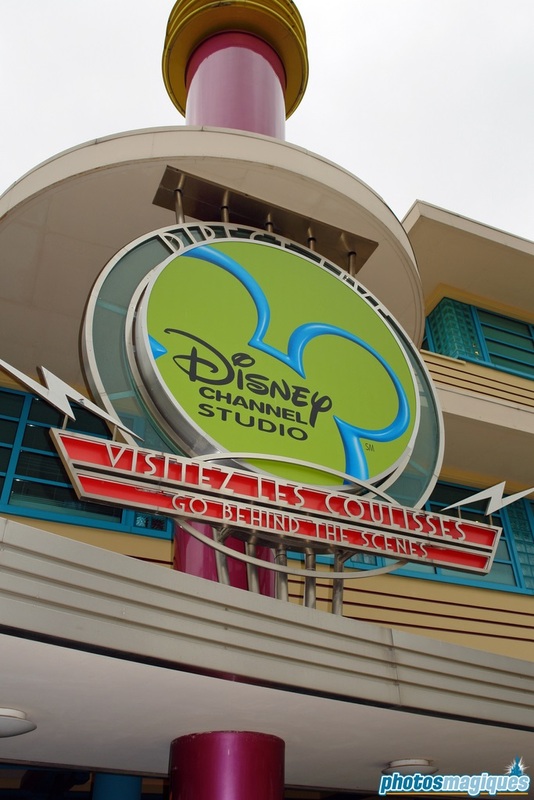 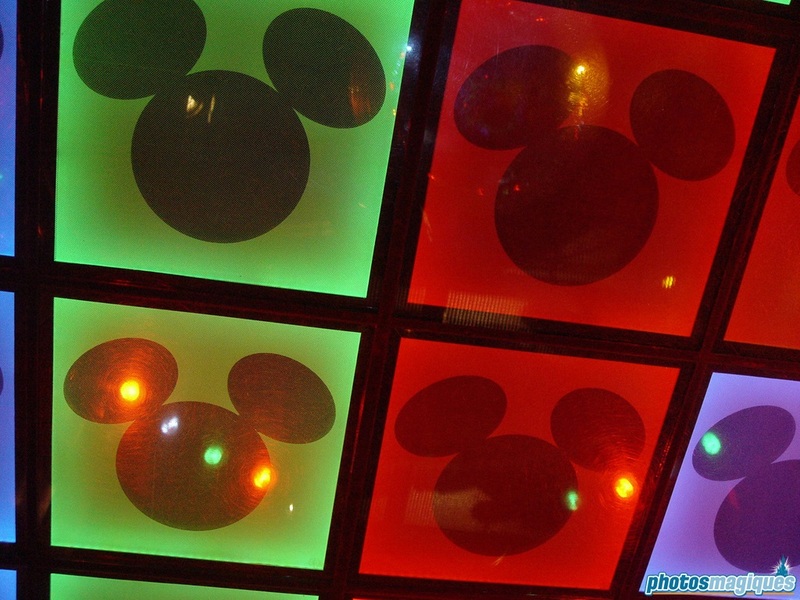 In the first room, a pre-show video was shown with images from recent Disney Channel movies, as well as a teaser of what was upcoming in the tour. 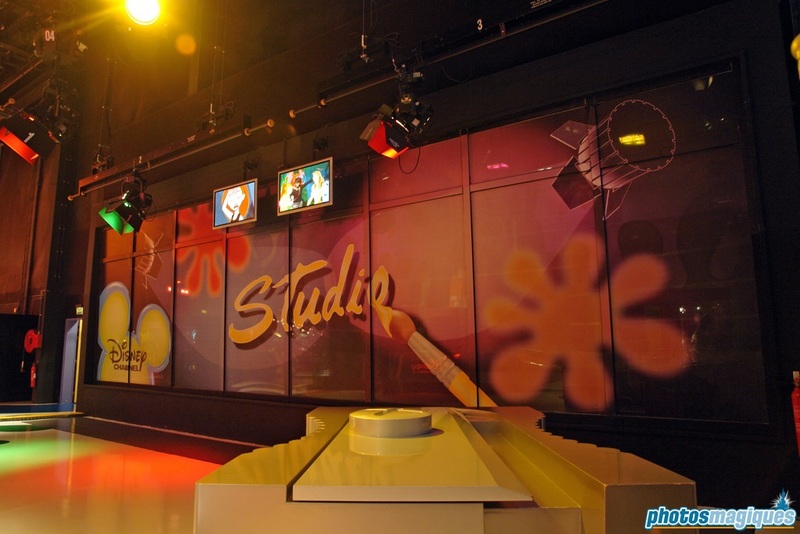 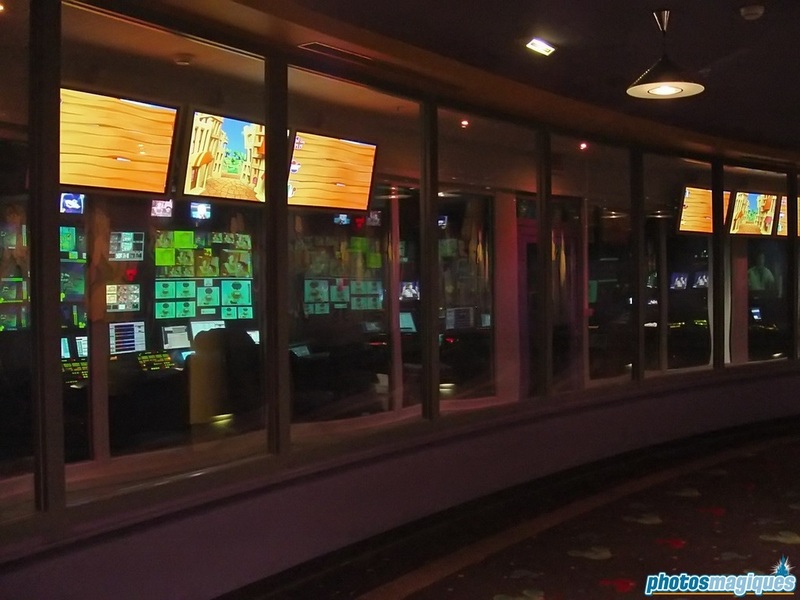 In the second room, guests could have a look at the real studio control room through glass windows. 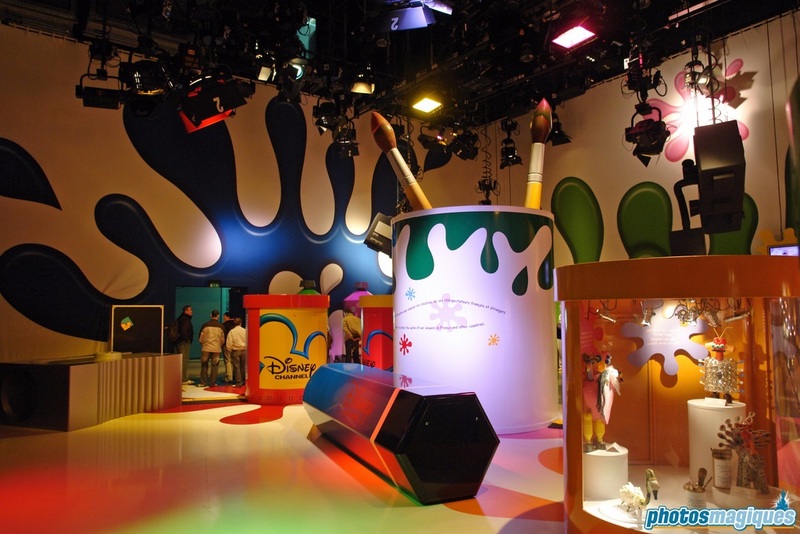 The third room was originally a studio where television shows where recorded. 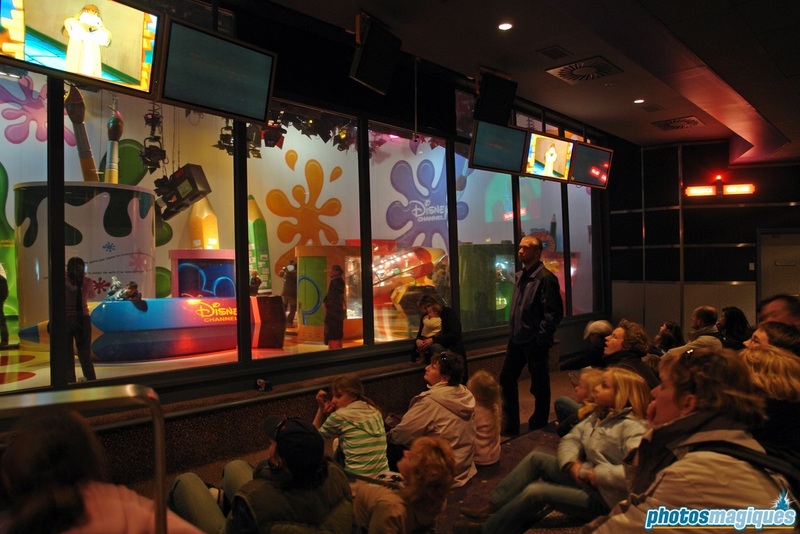 Behind a window, guests could see these taping happen. 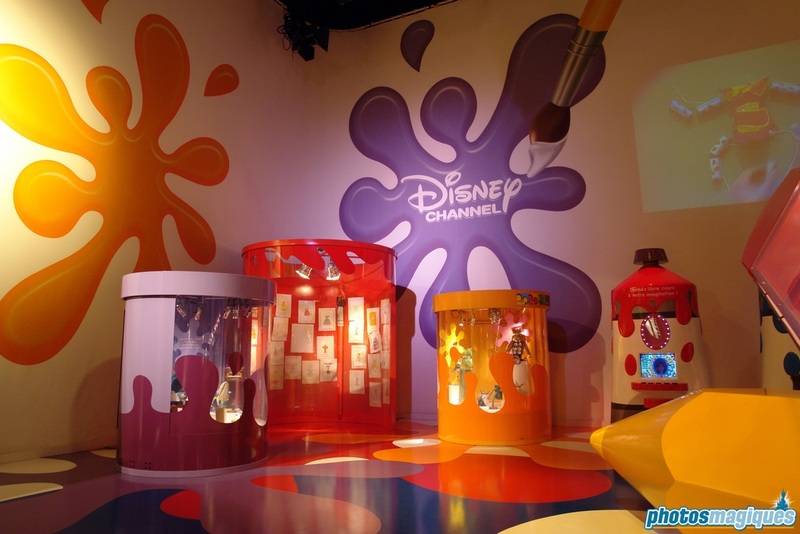 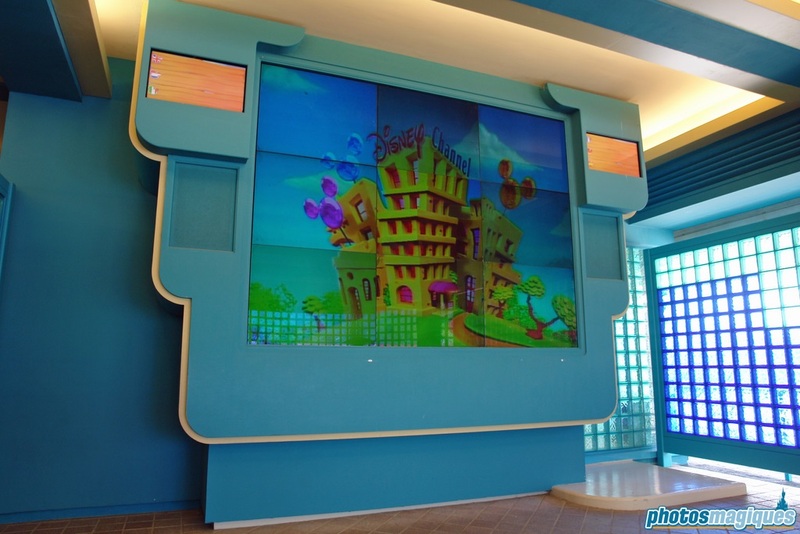 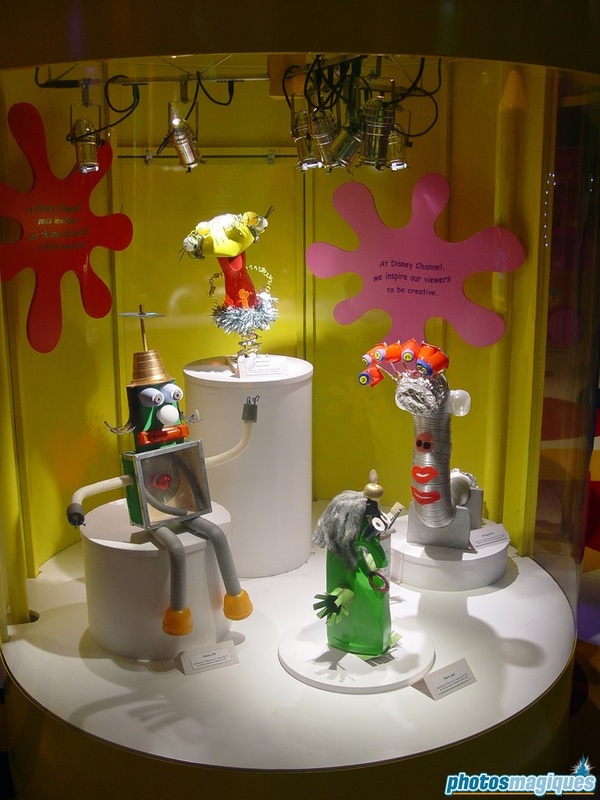 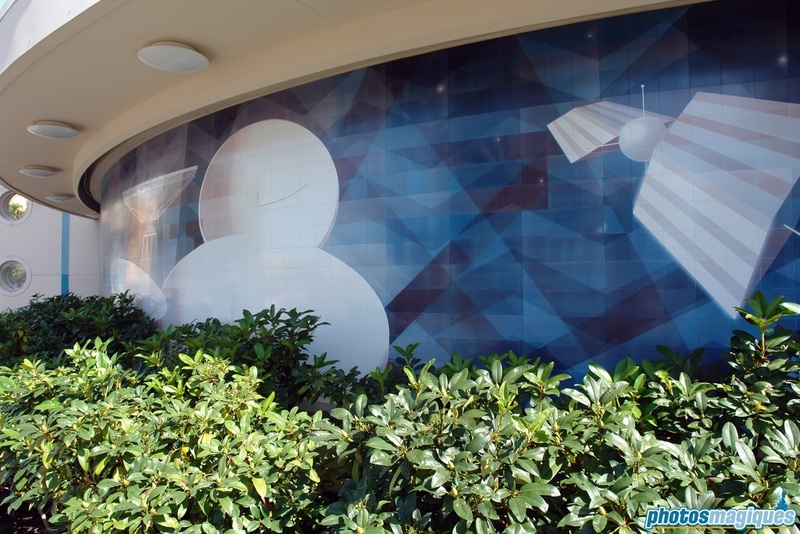 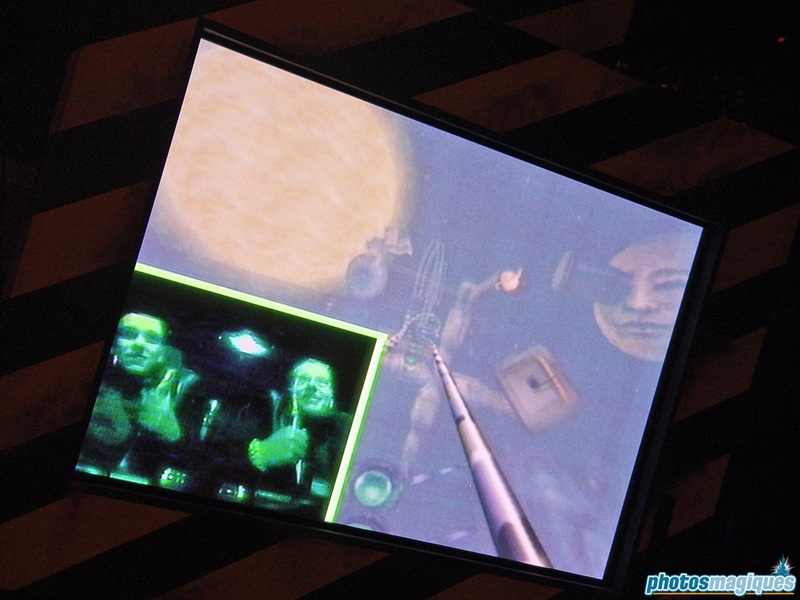 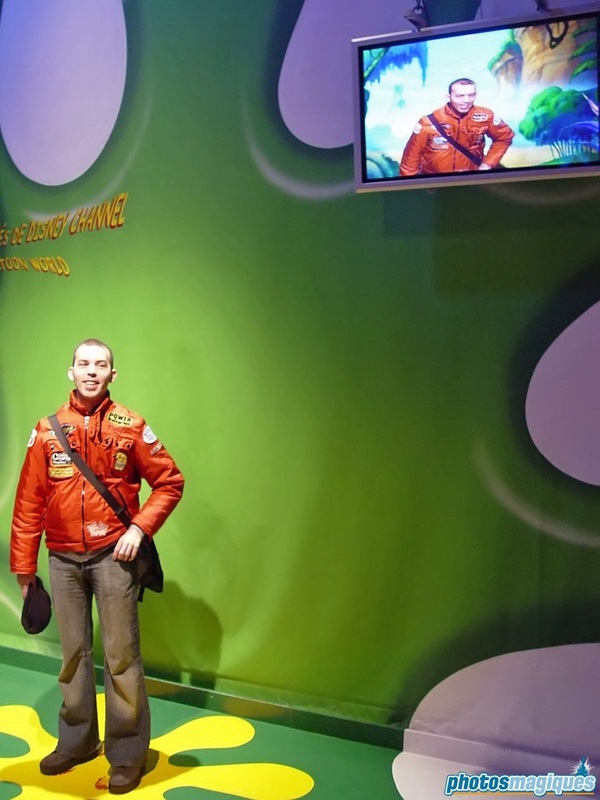 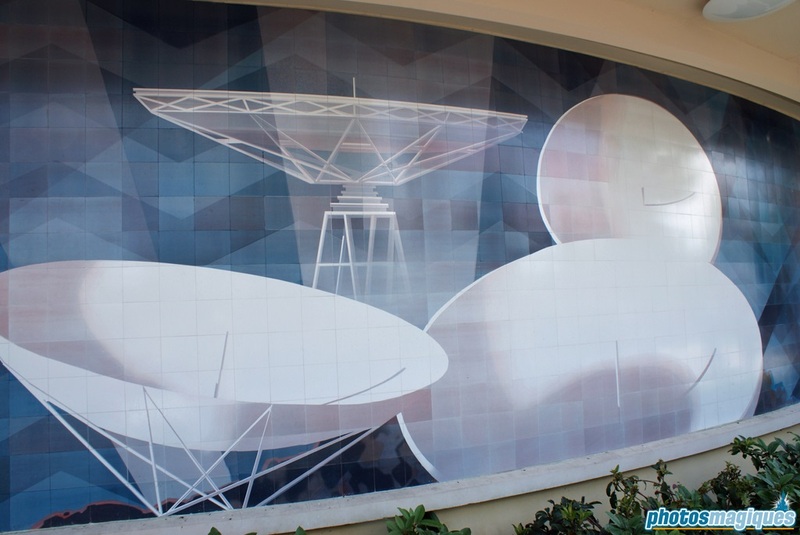 Later, when Disney Channel abandoned the studios, an exhibition with artwork send in by children was put in place, as well as a few interactive features (like a chroma key screen). 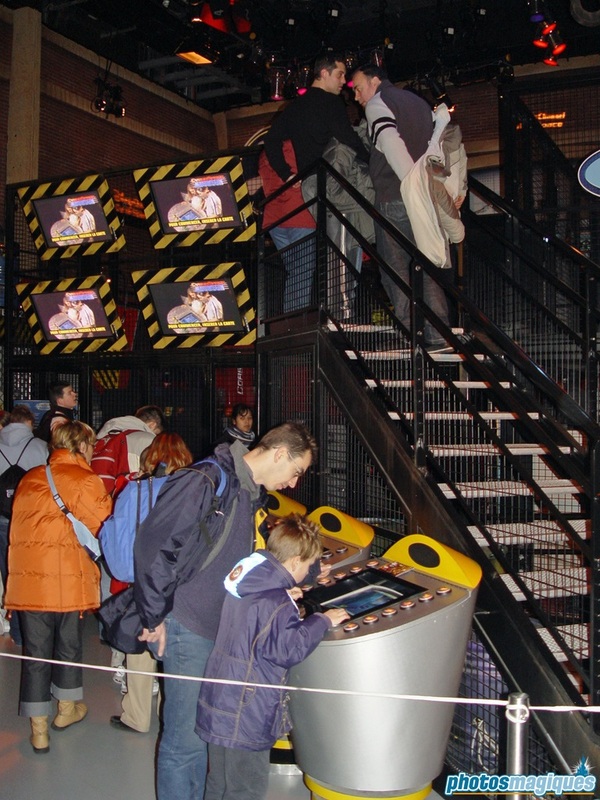 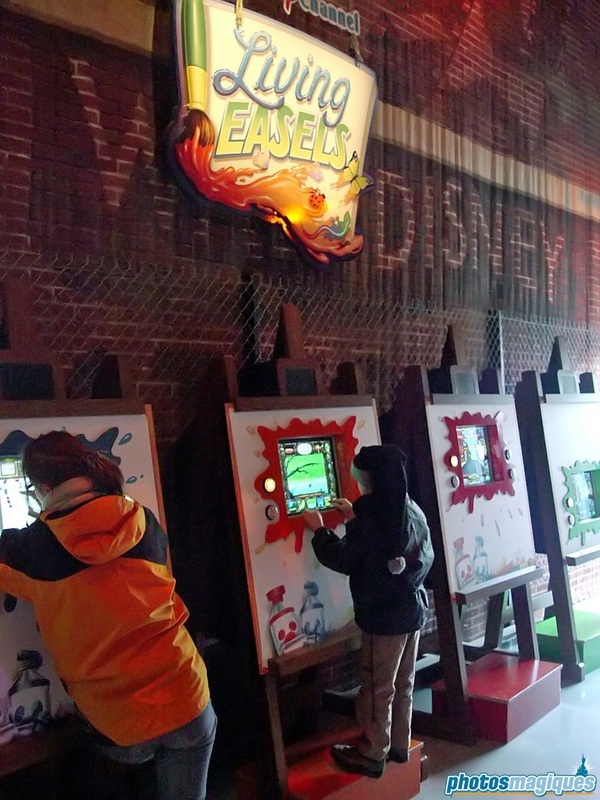 The post show room was called The Zapping Zone and provided a large selection of interactive game stations. 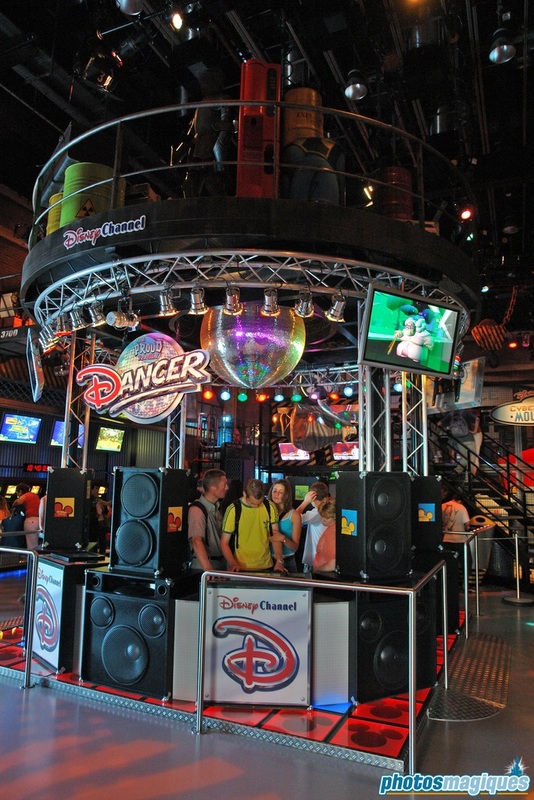 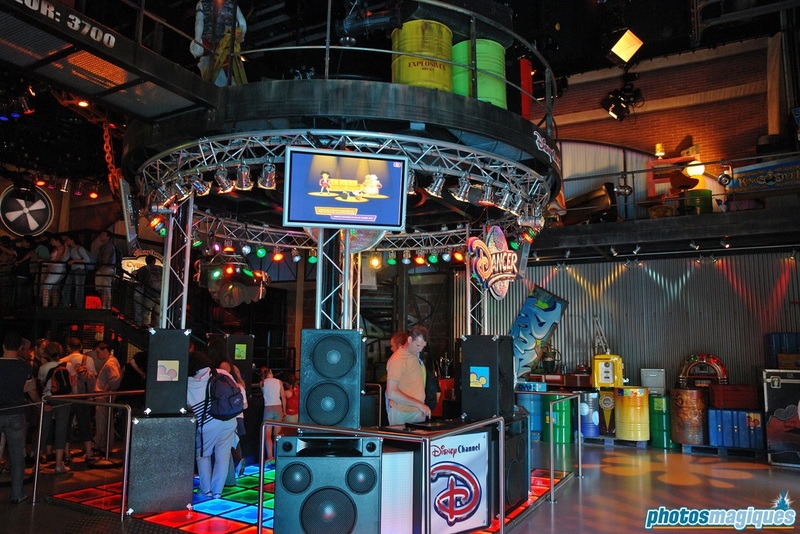 These originated from Disney Quest Chicago, which closed late 2001. 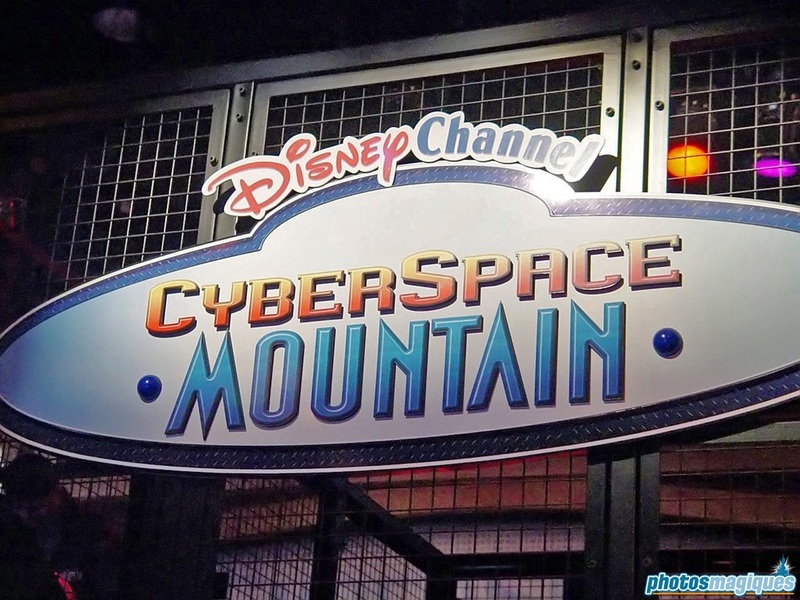 Top attraction here was Cyberspace Mountain in which guests could design their own roller coaster on a computer and later ride it in an enclosed seat that would move with the virtual coaster on screen. 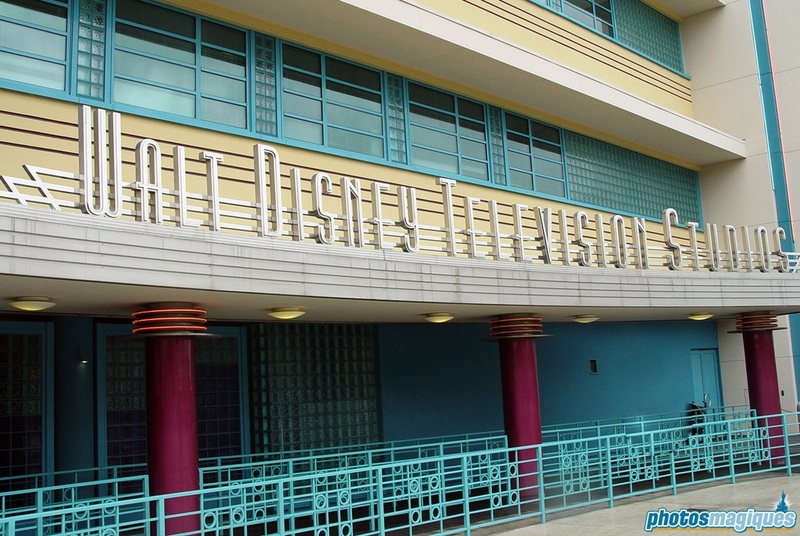 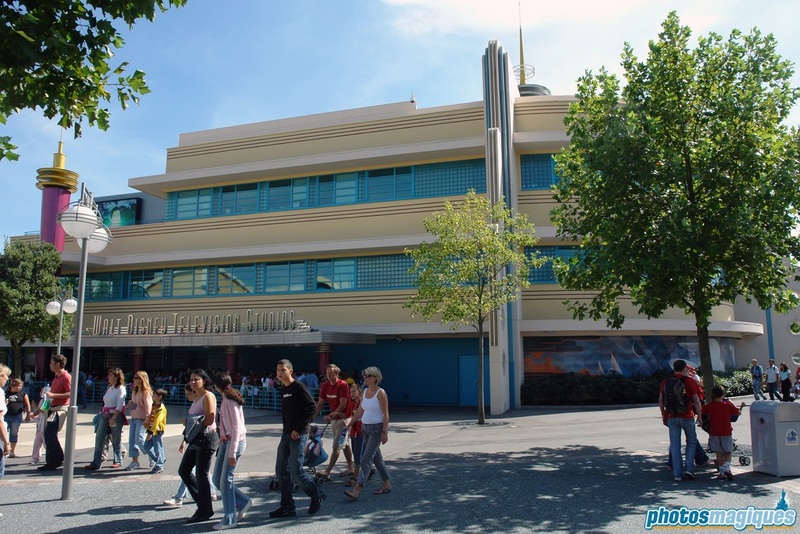 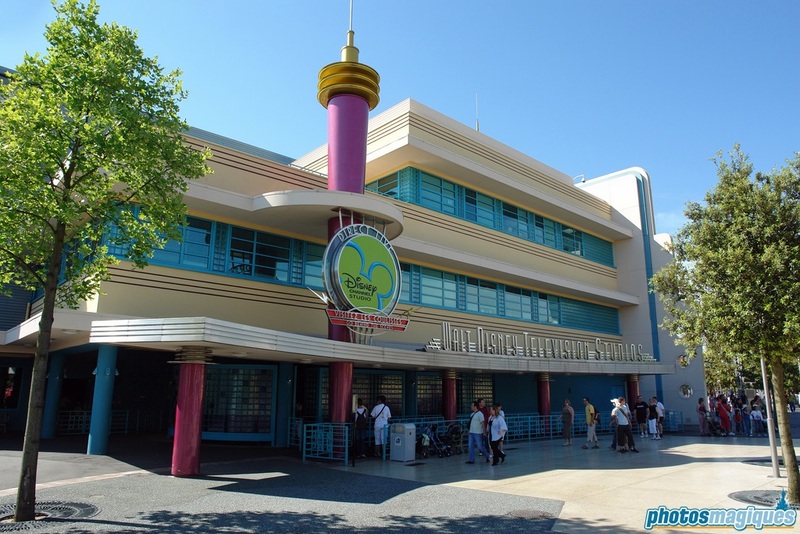 Television Production Tour and its post-show closed in 2006 to make way for Stitch Live! 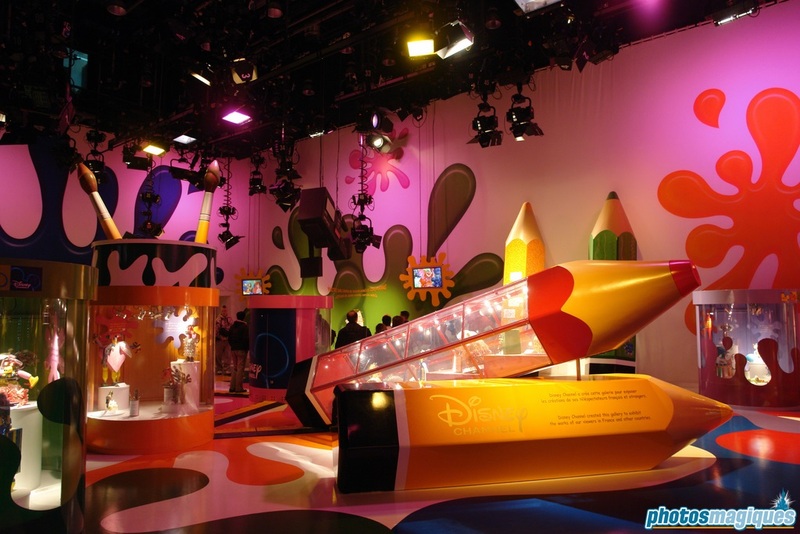 and later Playhouse Disney Live on Stage! 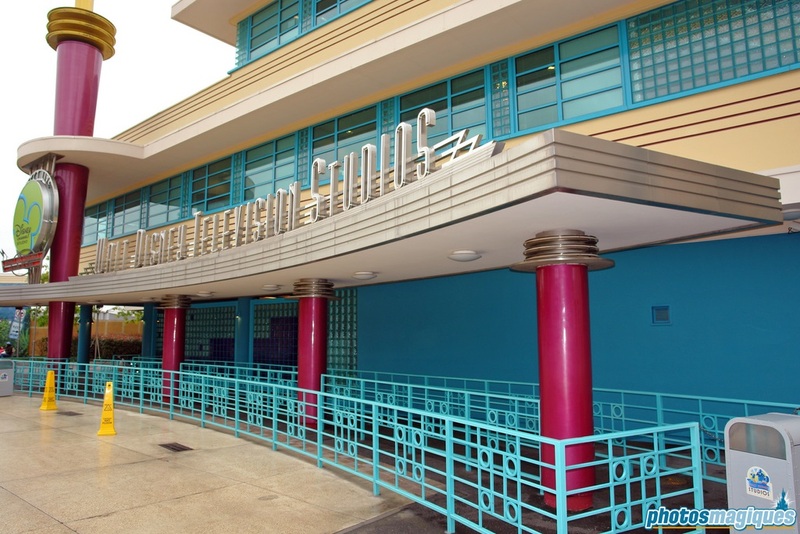 Although this attraction is closed permanently, you won’t miss out much!